LIFECOM, WORLD CLASS TRANSLATION SERVICES FOR COMPANIES WITH A GLOBAL PRESENCE. Receive a 33% discount on your first translation. Lifecom emerges with the objective of serving companies with a global vision and a view toward expansion into new markets with a variety of daily requirements for translation, interpretation and other linguistic and communication services. This commercial expansion of modern companies demands precise and professional content in different languages. We are experts in making this a reality for our ever more demanding clients. With a network of over 1,000 globally qualified, professional linguists and translators, Lifecom can translate virtually any type of material or content into more than 100 languages. To be competitive as well as competent, today’s companies have to have their content available in as many languages as their market demands. The process entails the thorough revision of materials by expert linguists who can detect errors in spelling, style, writing or tone. Lifecom offers desktop publishing services that offer clients final documents, ready to be delivered to their target market, in the language that is needed and with the client’s preferred graphic format. A company’s phrases, slogans or mottos are a fundamental part of its corporate and marketing personality. Lifecom’s interpreters are experts in carrying out translations and interpretations in real time, even of the most complex content. There are many scenarios in which a consecutive interpreter is necessary. Through his extensive experience in various translation companies and with a career spanning over a decade, Armando and his team have successfully completed translation projects and created language solutions for some of the most important companies in the world, both inside and outside of Mexico. In the projects in which he has participated, he has provided language solutions for participants from all types of industries including legal, pharmaceutical, marketing, consumer products, automotive and manufacturing, among many others. 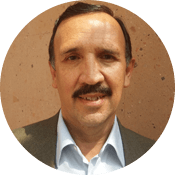 In addition to being a lawyer, Armando has more than 15 years of direct experience in the translation of legal texts and has taken workshops and taught translation courses in some of the most prestigious academic institutions in Mexico. The range of his experience allows him to have a global and integrative vision of his clients’ needs, providing services with the highest quality standards. Because no two customers are the same and they all deserve special treatment and service, our business operations department makes it their priority to get to know our customers, identify their needs and size their demands in order to create a comprehensive portfolio of cost- effective solutions. 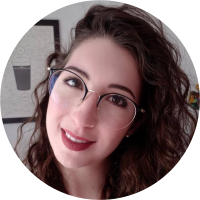 For this purpose, the vast expertise of professionals such as Lorena allows us to improve internal processes and optimize every project’s results; strengthening loyalty and trust for customers who have found in Lifecom a highly competitive company, committed to the quality of its services. With a bachelor’s degree in communications and more than 10 years’ experience in the operations of different types of companies, Lorena is always one step ahead of the process, ready to control the unexpected and ensuring the stability of the team for the sake of our clients’ complete satisfaction. 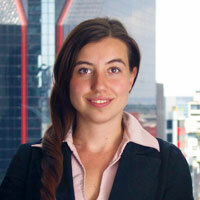 Fernanda has more than 5 years’ experience in the translation industry. 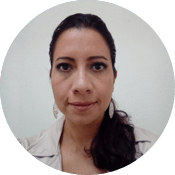 She has ample studies and experience in marketing, specializing in ad translations, corporate image, internal communications, identity manuals and publications. Her training in business administration, gives her the tools necessary to carry out her duties as project manager with great success. Her experience has allowed her to manage and lead high-volume translation projects for important international companies. With a focus on impeccable customer service, dedication and attention to detail, Fernanda sets extremely high quality standards for every project. 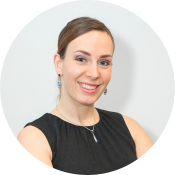 Paulina has more than 10 years of experience in the translation of legal texts, both internally for major law firms and international corporations that she has worked for directly as well as independently. A degree in law and studies in English law terminology have given her extensive knowledge in this area. In addition, she also holds a degree in advanced English and translation by the University of British Columbia. Throughout her career, Paulina has led multiple projects with variable lead times and has successfully led teams that have consistently delivered projects of the highest quality in a timely manner. Her experience and expertise give unsurpassed value to her performance as project manager. 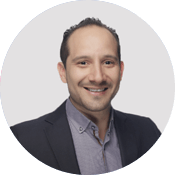 Ruben has had an impressive track record in sales, marketing and general management in leading multinational companies established in Mexico, during this period he held the position of client in many major translation projects. Having attended the University of Pennsylvania (Wharton) and worked in sales & marketing for Procter & Gamble, Johnson & Johnson and Sara Lee, Ruben has consistently achieved positive results for the companies he has worked for, including Maxxium de Mexico and PSAV, where he served as CEO, and later in JiBDA and Associates, where he served as operations consultant-manager. During his years in the corporate world Ruben achieved high and sustained growth with solid profitability for his employers. 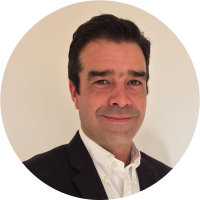 His experience includes the supervision of 16 Latin American markets, while working for Johnson & Johnson International as international marketing manager, where he made significant contributions. Ruben is a dedicated, experienced and proactive professional, who personifies Lifecom’s enthusiasm and determination to exceed expectations and achieve concrete results for the companies which we work for. With a degree in law and experience in the real estate industry servicing both national and international clients, Joel’s experience has allowed him to develop his career in the commercial area of companies from different industries where he has always been recognized for his keen focus on client service through a high quality personalized rendering of services. With Joel joining the Lifecom team he contributes to attaining a new degree of comprehension of our client’s needs in order to achieve a continued improvement, in the quality of the services given as well as overall performance from all areas, which stands for one of the core values of our company. 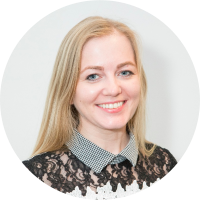 Anastasia has been working as one of the founders for our Russian team and is an integral part of our operations in Russia since she has developed many of the areas necessary for the company to operate as efficient as possible. She has helped create a structure that can provide great client satisfaction, which allows the company to attract many loyal customers across different industries. She is an experienced professional in managing different types of projects in different languages being multilingual, with broad experience in different countries across Europe and The Americas, which along with her experience in tourism across different countries and continents make her a fully multicultural professional capable of problem solving different key aspects for different clients. Having worked in the Olympic Committee of the Russian Federation, as Project Specialist, she was very dynamic and always called for immediate action, being able to successfully handle projects of all sorts. Graduating from the School of Finance and Economics of the Municipal and State University of Geodesy and Cartography in Moscow, she has a broad sense of how to structure projects so they are successfully completed along with reaching each projects goals. Having graduated from globally renowned Lomonosov Moscow State University as an Intercultural Communication Specialist, Marina is an expert in customs and traditions, as well as in linguistics, both due to her academic studies and her professional experience, which means she understands the nuances of communication across cultures. She started her professional career with a high sense of urgency developed during her internship at BBDO in the PR and Marketing area, where she proved to be very dynamic which ever since has always been one of the qualities that distinguish her work. This, along with her acquired experience in promoting educational programs during the exhibitions organized by the British Council, makes her an individual that can both give great customer service as well as handle projects from the back end to ensure top notch quality. Marina was involved in the organization of some major sporting events, like the XI Paralympic Winter Games in Sochi and the XXXI Olympic Games in Rio de Janeiro, as well as other international forums and exhibitions. Her professional experience and positive energy along with her willingness and availability make her a valuable member of our team with which our clients are always impressed. Anastasia is our Finance Manager. She has a degree in economics and completed an MBA course. Having worked in the financial sphere for more than 10 years she has vast experience and contributes a lot to our company. Anastasia worked as a senior credit operations specialist and as an operations department manager at a large commercial bank. She also worked as an accounting manager and had the responsibilities of a financial analyst at a pharmacy holding organizing the financial, accounting and HR departments from the ground up. She has experience as well in running a medical equipment business and organizing healthcare conferences and exhibitions. 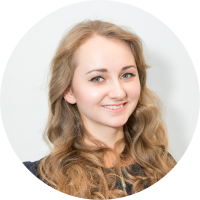 With broad experience managing projects and complex operations mostly from the financial aspect of them, Anastasia adds a lot of value to ensure a custom solution which guarantees the success of all the challenges we face. Her work is always of the highest standard making her a key player for our organization. She also possesses fundamental knowledge to select the best personnel for the projects we work in, due to her broad experience in this field and her sharp eye. Service to this industry is one of LIFECOM’s main specialties. The need for content in different languages is imperative to the pharmaceutical industry, since it is essential for the commercialization of their products in other countries. Unstoppable advances in the technology industry have transformed the world and the daily life of a large part of the population. With their characteristic speed, tech companies must always have information ready for their end users. In the legal sector, the translation of all types of documents into other languages is constantly needed to solve cases, legal and corporate matters, and to carry out all types of processes before governmental instances, where precision is absolutely necessary. People from all over the world participate in this industry in various forms, which demands all types of material be available in several languages. Given the wide array of industries and corporations requiring translation services, Lifecom has specialized in finding not only the proper group of linguists to translate any type of content for our clients, but also in finding tailor-made solutions for their specific needs. Privacy notice. All rights are reserved, Lifecom, 2017.